The first poll taken since the IMF-EU bailout shows Taoiseach Brian Cowen’s party languishing on a record low level of just 13% - a staggering 29% drop since the last election. The Red C opinion poll is the first to gauge the public’s reaction to the IMF and EU multi-billion-euro bailout deal. Fine Gael and Labour will draw little comfort from the poll, which shows they have failed to capitalise on the unprecedented events of the last two weeks and the protests in Dublin last weekend. Both parties have seen their levels of support fall in the last fortnight. Labour has dropped three points from 27% to 24%, while Fine Gael has fallen slightly to 32%. The historically low figure for Fianna Fail has now allowed Sinn Fein to overtake it and move to 16% in the popularity stakes. Sinn Fein’s support is more than double what it achieved at the last election and points to renewed popularity in the aftermath of its Donegal by-election win and party president Gerry Adams’ decision to run in the general election. If the dramatic results were repeated in the election, which is expected in the next three months, Fianna Fail would be left with just 23 TDs -- a loss of 55 seats. Mr Cowen’s support levels have also taken another hit, with just 8% wanting him to still be leader of the country after the next General Election in late January or February. The Green Party, Fianna Fail’s coalition partners, remain at 3%. Independents, including the smaller left-wing groups, have gained 3% to 11pc and are also now drawing support away from the main opposition parties. The poll of 1,000 people was conducted by Red C for the Irish Sun and has a margin of error of 1%. Shell-shocked Fianna Fail ministers and TDs had feared in recent weeks that the devastating blow of the arrival of the International Monetary Fund had pushed them past the point of rescue. Finance Minister Brian Lenihan last night dispelled speculation he may not run in the General Election by vowing to fight to keep his Dail seat. The Dublin West TD has been battling cancer since last year but he insists he is in good health. “Of course I’m running at the next election, a convention has been called in January in my constituency,” he said, speaking to state-run broadcaster, RTE. Earlier this week, the Minister for Justice Dermot Ahern provided another unpleaseant shock for Fianna Fail, when he announced he would quit politics at the next election. Once tipped as a future Taoiseach, Ahern blamed his decision not to contest his seat in the Louth constituency on an unspecified medical condition. However, the move was widely seen as an attempt to avoid electoral humiliation -- Sinn Fein President Gerry Adams was recently confirmed as a candidate in the constituency. At least a dozen other Fianna Fail incumbents have also dropped out of contention and more are expected to do so to avoid facing angry voters in the Spring. Dublin government minister met on Thursay night to finalise the details of the 2011 Budget, which Finance Minister Brian Lenihan will announce on Tuesday afternoon. If it passes, with the likely help of two side-deals with independents Michael Lowry and Jackie Healy-Rae, Lenihan plans to rush through parliament the most contentious votes on social welfare cuts. The rush is designed to avoid the possibility of mass protests outside Leinster House and to take advantage of the current icy weather. Sinn Fein leader Gerry Adams said his party “does not get carried away or allow ourselves to be unduly distracted by opinion polls. 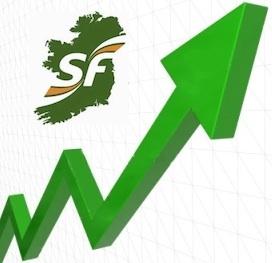 “However, following last week’s excellent result in Donegal South West, I am confident that there is considerable and growing support for Sinn Fein and that we will continue to build on that. Mr Adams also announced that a party rally against the budget, due to take place tomorrow, has been cancelled for health and safety reasons due to the adverse weather conditions.